Long, longer, longest lashes ever! 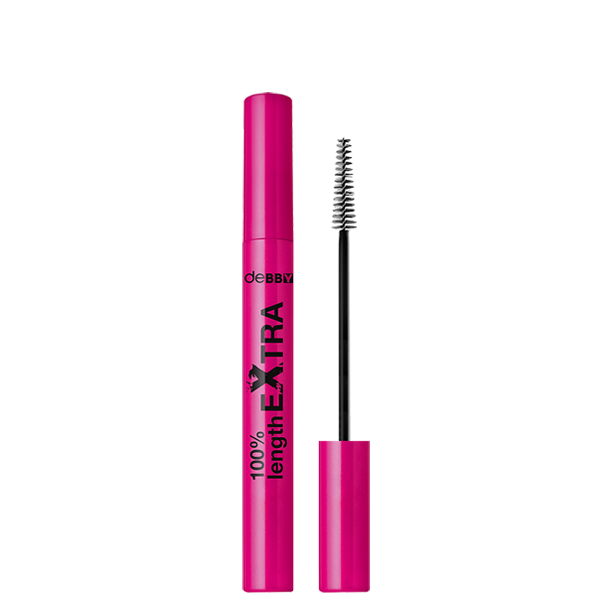 Your gaze won’t go unnoticed when you’re wearing 100%lengthEXTRA Mascara. The fibre brush is designed to separate, define, shape and lengthen each individual eyelash. Formulated with Triple Carbon Black this amazing mascara leaves lashes blacker than black all day long. Fragrance free. IL090318V INGREDIENTS: AQUA, PARAFFIN, CERA ALBA, COPERNICIA CERIFERA CERA, TRIETHANOLAMINE, ACACIA SENEGAL GUM, PROPYLENE GLYCOL, PALMITIC ACID, STEARIC ACID, GLYCERYL STEARATE, PEG-75 STEARATE, TRIMETHYLPENTANEDIOL/ADIPIC ACID/GLYCERIN CROSSPOLYMER, RICINUS COMMUNIS SEED OIL, CHONDRUS CRISPUS EXTRACT, TOCOPHEROL, XANTHAN GUM, GLYCERIN, CAPRYLYL GLYCOL, ETHYLHEXYLGLYCERIN, GLUCOSE, ACRYLATES COPOLYMER, CELLULOSE, PVP, HYDROGENATED POLYCYCLOPENTADIENE, HYDROXYETHYLCELLULOSE, SILICA, POLYETHYLENE, SODIUM DEHYDROACETATE, PHENOXYETHANOL, IMIDAZOLIDINYL UREA, METHYLPARABEN, CI 77499, CI 77266 (NANO).